The call-to-action (CTA) is an important tool for promoting your marketing offers and making sure your lead gen engine stays humming. In fact, we believe that your CTAs should be on just about every page of your website. 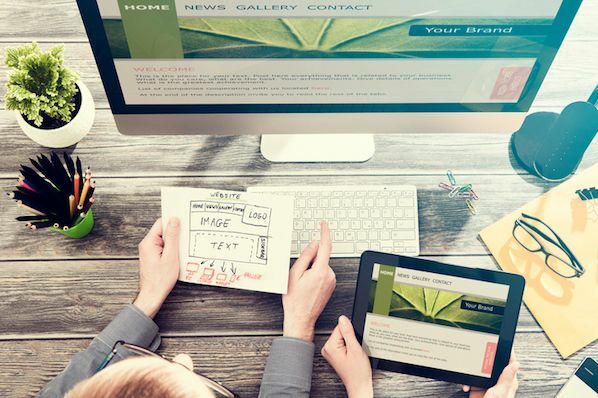 After all, if you're putting all that hard work into creating stellar marketing offers and building the landing pages to house them, you need to let your website visitors know they exist. CTAs are a great way to do that. But surely there should be more of a science involved than just slapping a CTA button on any page on your site willy-nilly ... especially if you've been building out your offer backlog and have several of them at your disposal. So how do you know which offer's CTA button to put on what pages of your website? Here's an easy step-by-step guide to make it easy to decide. Before you do anything else, you need to conduct an audit of all the marketing offers you have at your disposal. Create a spreadsheet, and list all of your offers in column A. It's also a good idea to list their corresponding landing pages in column B, if only to have a record of all your offers and their URLs in one place. Next, identify the various stages in your sales cycle. This may be different from business to business and industry to industry, but just so we're all on the same page, we'll go with the three most widely recognized stages: awareness , evaluation , and purchase . Awareness: Prospects have either become aware of your product or service, or they have become aware that they have a need that must be fulfilled. Evaluation: Prospects are aware that your product or service could fulfill their need, and they are trying to determine whether you are the best fit. Identifying the stages in your sales cycle is important, because not every offer will be appropriate for prospects in every stage of the sales cycle. For example, if you sell personal tax software, a website visitor in the awareness stage might have found an article on your blog because they were looking for information about how to do their taxes by themselves. In this case, the best offer for them probably isn't a free trial of your software, because they may not even know you sell software or that they need software to solve their problem. For this new visitor who knows nothing about you or what you offer, an educational ebook called something like "10 Common Mistakes People Make When Filing Their Taxes" would probably be a much more suitable offer. That free trial, on the other hand, would likely be something you'd offer to a prospect in the purchase stage. Once you've identified the various stages in your sales cycle, add a third column to your spreadsheet, and categorize each of your existing offers by these stages. 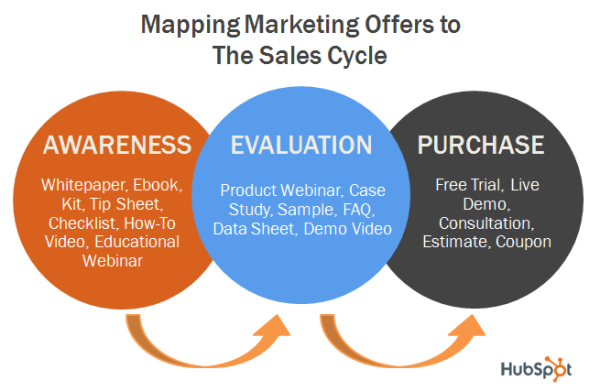 The diagram below will help you determine which types of offers typically map to the three main stages in the sales cycle . The content assets listed in the 'awareness' stage are appropriate for that stage of the buying cycle because they help educate your lead -- not on your solution , but on their need . The content assets in the 'evaluation' stage, however, speak directly to how your company can help solve their needs, bridging the gap between the educational assets and product/service information. The assets in the 'purchase' stage require more action from the lead -- actions the lead is more likely to take because they're now more educated about their problem and why your company is a good choice for solving it. An added benefit to completing this exercise is that you'll be able to identify any holes in your content strategy. Do you notice you have quite a few offers to cater to prospects in the top of the funnel (the awareness stage), but very few offers to satisfy prospects' needs at the middle (evaluation stage) or bottom (purchase stage) of the funnel? Knowing which stages of the funnel for which you're lacking offers will help to inform your future content creation strategy so you have a well-rounded arsenal of offers that can be used in other marketing efforts like lead nurturing . Now that you've successfully mapped your existing offers to the stages in the sales cycle, you're ready for step 2! The next thing you'll need to do is determine how each page on your website aligns with the stages you identified in step 1. By knowing which pages more effectively appeal to visitors in particular stages of the sales cycle, you'll know where to place the offer CTAs that coincide with those stages (which you've already done in step 1). Add a new sheet to your spreadsheet, and this time, list all of the pages on your website in column A. If you have a ton of pages on your site, you can make things a little easier for yourself by bucketing pages into different categories, such as 'about' pages, product pages, blog pages, thank-you pages, case study pages, marketing resources pages, and so on and so forth. The only pages you shouldn't add CTAs to are the landing pages for your offers , as you never want to distract visitors from or add more friction to the pages where you house your lead-capture forms. Now add a new column to your spreadsheet and categorize each page/category of pages by which stage in the sales cycle visitors will most likely be in if they're on those pages. Again, use a combination of common sense and your marketing analytics. Here's how. Think logically about each page on your website. Are people who are hanging out on your products pages more likely to be in the awareness stage or the evaluation/purchase stages? The latter, right? What about pages like your press room or 'About Us' page? People checking out these pages are probably just getting to know your business, so they're most likely in the awareness stage. And the pages housing your case study or testimonial content likely attract prospects who are in the evaluation stage, right? Other pages, like those on your blog for instance, might get a combination of traffic: people who find your articles organically through search and know nothing about your business yet, or repeat visitors/subscribers who keep coming back to your blog and, while they may have advanced to the evaluation or purchase stages, still find your blog content valuable and useful. We all know that great marketers don't solely rely on common sense. They also heavily depend on data to make the most informed marketing decisions. This is where your analytics come into play. Using tools like HubSpot's Conversion Assists can help you identify which pages on your website contribute to leads and customers. 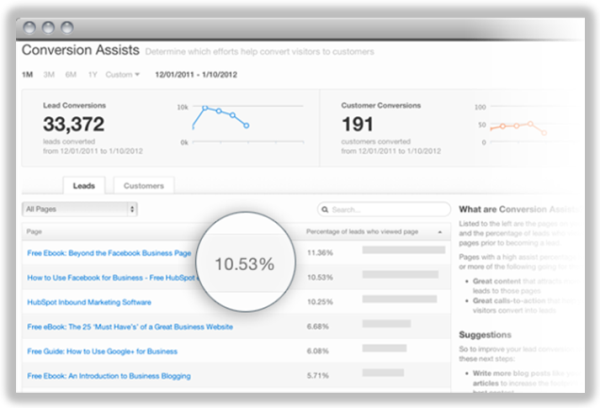 Conversion assists are pages on your website that your visitors viewed before converting into leads or customers. In other words, if you notice that particular pages are commonly viewed before leads converted into customers, you know those pages are influential in the evaluation or purchase stages. Similarly, if you notice that particular pages are commonly visited before people convert from visitors to leads, you know those pages are influential in the awareness stage. So now you know which stage in your sales cycle each of your offers align with, and you've also determined which pages on your site CTAs for those offers belong. You're nearly there! Use your landing page analytics to analyze your offers by each sales cycle stage, and pick out your top-performing offers by using metrics such as landing page conversion rate and submissions as proxies. 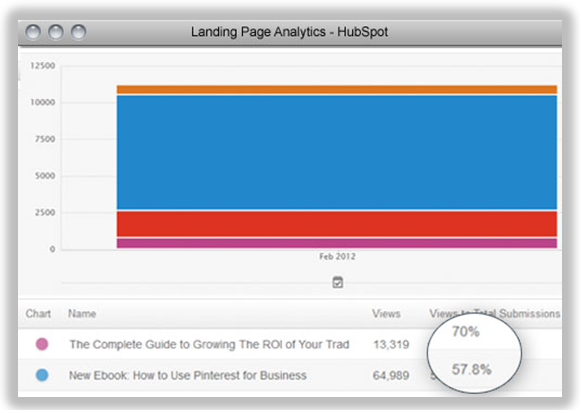 For HubSpot customers, the Landing Page Analytics tool makes this a snap! Finally, in the second sheet of your spreadsheet, create a new column, and add these offers to your rows of website pages, matching them with their appropriate stage in the sales cycle. Voila! Now you have a spreadsheet that indicates which offers you will use in CTAs on what website pages! Now that you know what to do, do it! Add the appropriate CTA buttons for your offers to their corresponding web pages. And if you don't have CTAs for your offers, get to designing them! 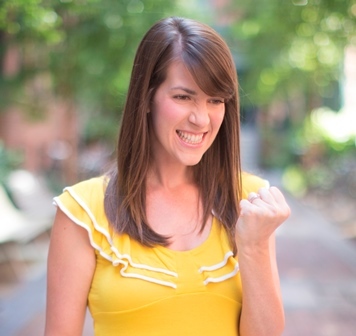 Hire a designer, create them yourself, or use a tool like HubSpot's CTA Module to get going. And don't forget to do some testing, particularly on pages whose sales cycle stages aren't so cut and dry like your blog. Test CTAs for different offers on different pages to optimize performance and come up with your own best practices that are specific to your business, industry, and audience. 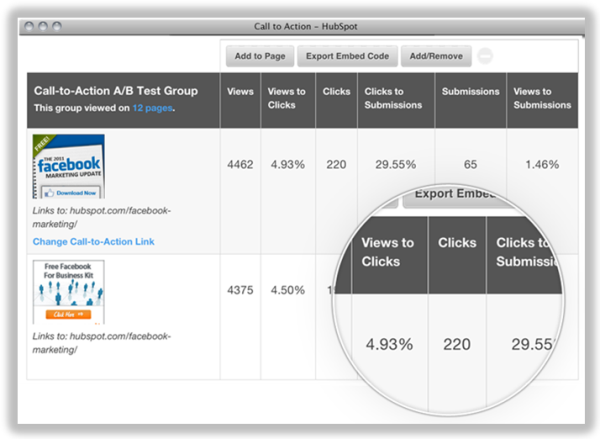 Again, HubSpot's CTA Module (pictured above) makes it very easy to A/B test calls-to-action to optimize click-through rates and conversions. How do you determine which CTAs to include on your website's various pages?